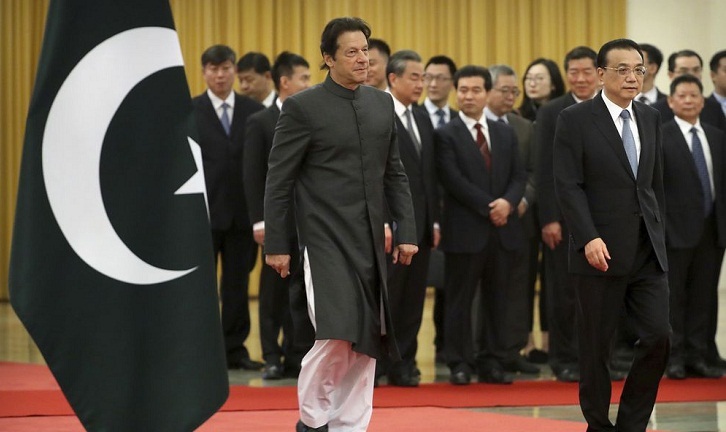 Speaking shortly after Prime Minister Imran Khan returned from Beijing, Pakistan's finance minister said Tuesday that assurances from China -- combined with a pledge made by Saudi Arabia last month -- meant that Pakistan's immediate fiscal woes were "over". As well as a highly-publicised austerity drive, including auctioning off government-owned luxury automobiles and buffaloes, the new prime minister has also made overtures to the IMF -- which has bailed Pakistan out repeatedly since the 1980s. However, Islamabad received billions of dollars in Chinese loans to finance ambitious infrastructure projects, and the US -- one of the IMF's biggest donors -- has raised fears that Pakistan could use any bailout money to repay its debts to Beijing. Islamabad -- which last received an IMF bailout in 2013 to the tune of $6.6 billion -- has refuted these claims.